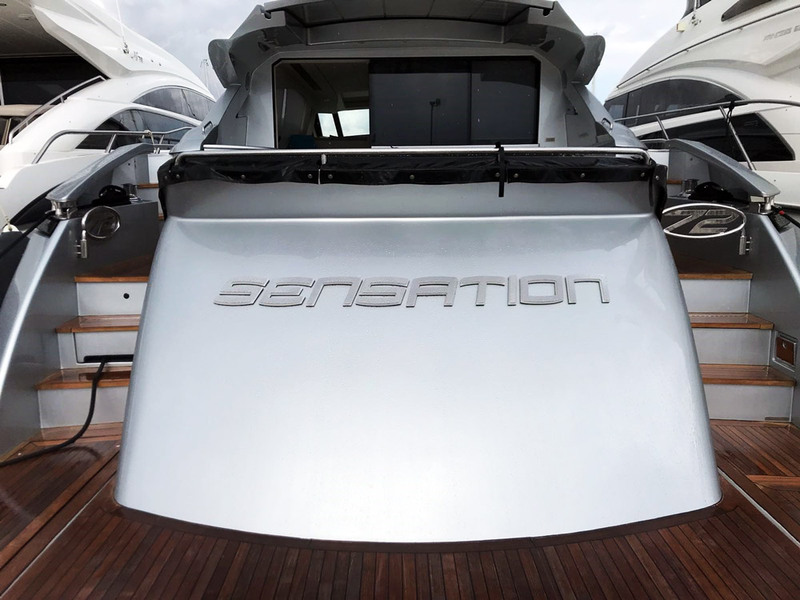 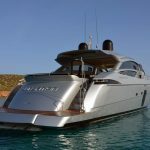 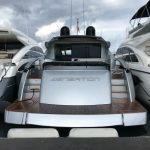 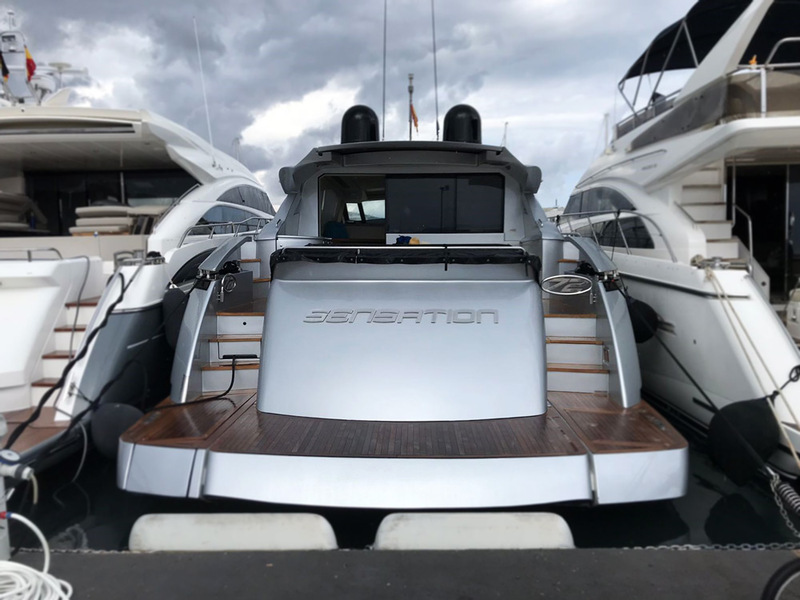 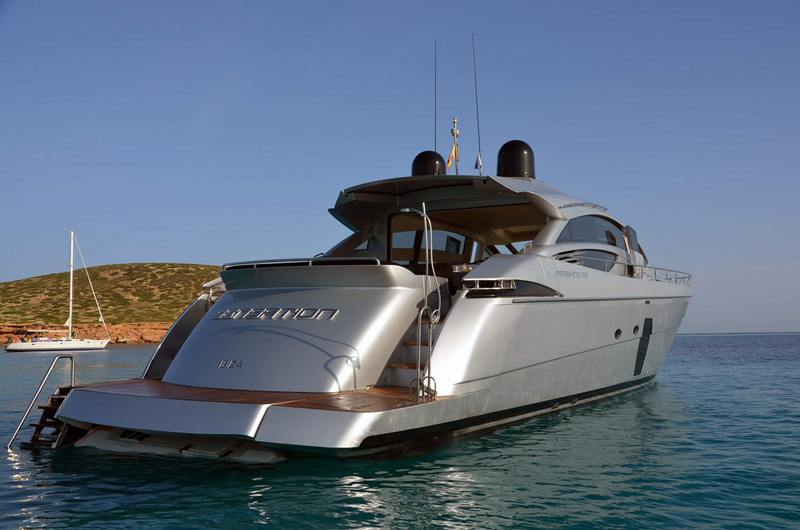 One of our later projects, M/Y Sensation – Pershing 72. 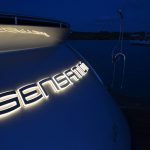 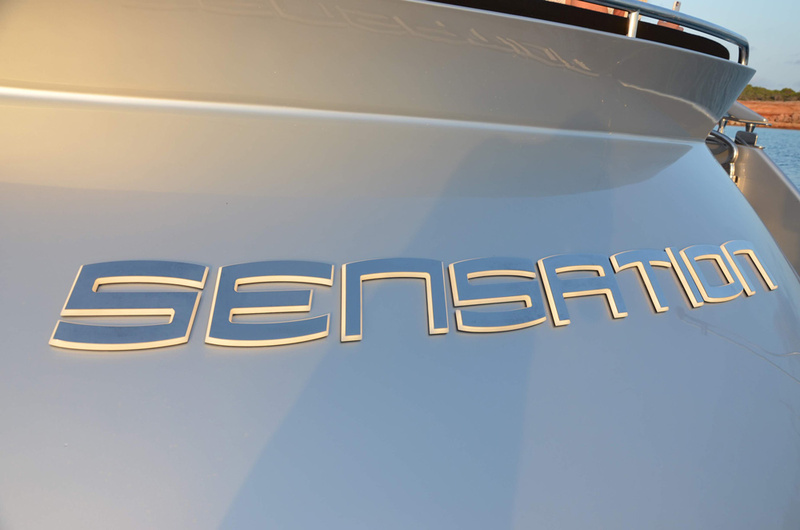 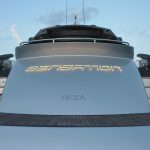 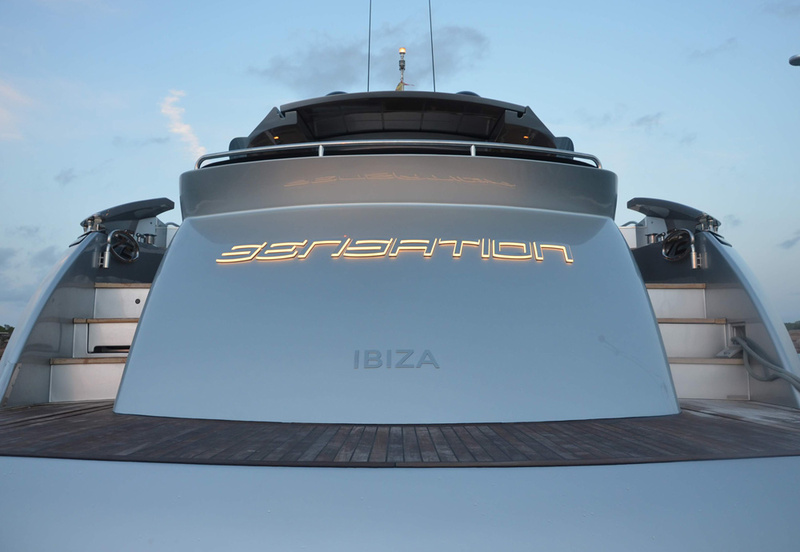 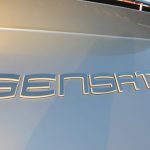 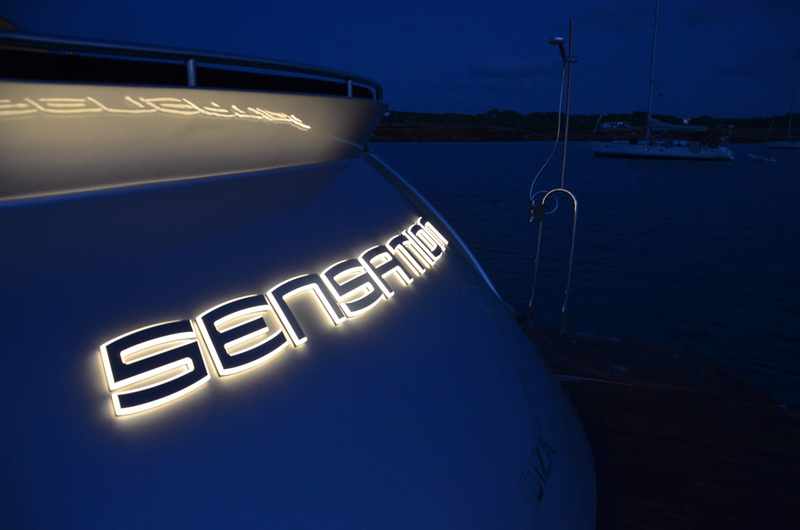 We designed and manufactured an Illuminated Yacht Sign using warm white LEDs to emit our signature halo glow upon the transom, coupled with 2mm mirror-polished SS ‘IBIZA’, sitting just beneath. 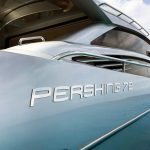 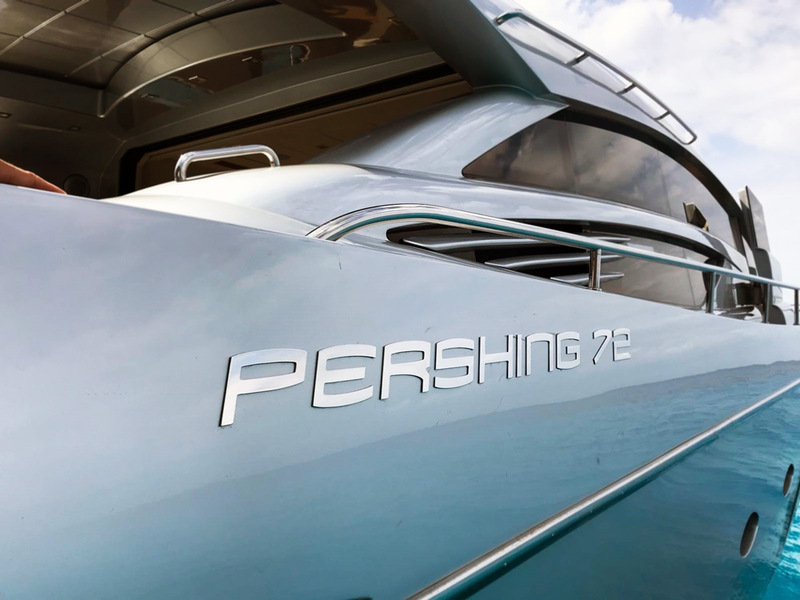 2mm thick super-mirror polished stainless steel sits proudly amongst the sides of the yacht stating the model – Pershing 72.